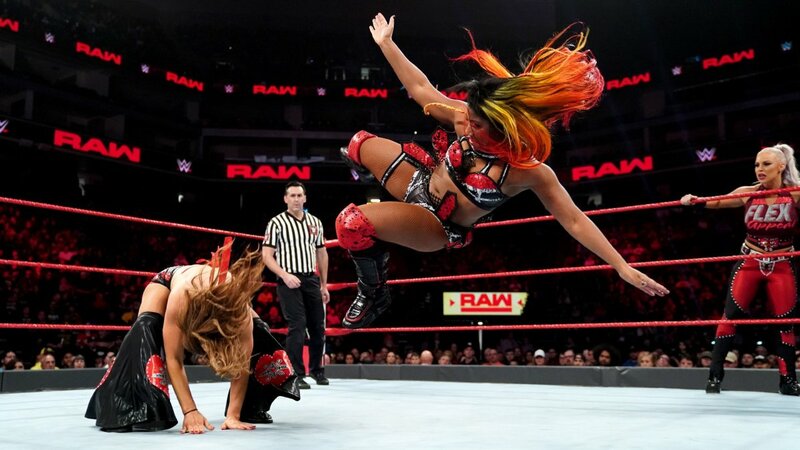 The Big Takeaway: After WWE put out a pure Raw-rehash episode last week fronted by Scot Stanford, Main Event returned to its usual format this week with two pretty good tag matches. Zack Ryder & No Way Jose worked well in tandem to score a victory in the opener, and Mickie James & Alicia Fox picked up a rare win at the end of the show. Tom Phillips and Percy Watson were on commentary this week as Vic Joseph and Nigel McGuinness were in England covering NXT UK. A couple of notes before this one: Ryder has had a new mix done on his entrance music so that it feels a little fresher, Breeze is now sporting a beard that arguably rivals Ryder’s for shape and style, and Hawkins is now 0-256 coming out of this one. Jose’s conga line made up for the lack of interest from the crowd as the early going saw Jose take on Hawkins and Breeze. A failed split-leg moonsault by Hawkins allowed Jose to get the hot tag to Ryder, who all but finished off Hawkins with the Broski Boot -- only for the cover to be interrupted by Breeze. Hawkins went pretty close to finally getting his win as he rolled up Ryder for 2.75. But the finish was all action as the ring filled and Jose hit Hawkins with the pop-up punch and then launched Ryder up in the air on to Breeze to hit the Rough Ryder for the win. This was fun while it lasted. The conga line always gives Jose’s matches a little something else in terms of atmosphere and heat. Despite being on the main roster for over 10 years now, Fox doesn’t pick up many wins. The surprise win for her & James here over Brooke & Moon, in a somewhat slow and muted match, is their first for 2019. Fox and James cut the ring in half, dominating Moon with quick tags. Eventually, James missed a big boot looking like she’d tweaked her right knee and Brooke got the hot tag. Brooke barged into the ring, awkwardly taking out both James and Fox, before hitting a flapjack on Fox. The high spot was Moon assisting Brooke off her shoulders to hit a senton onto Fox, but it wasn’t enough as Fox was able to come back to hit a big boot on Brooke. James then finished Brooke off with the Mickie-DT for the win.